Lillies: soft and delicate, but so beautiful! 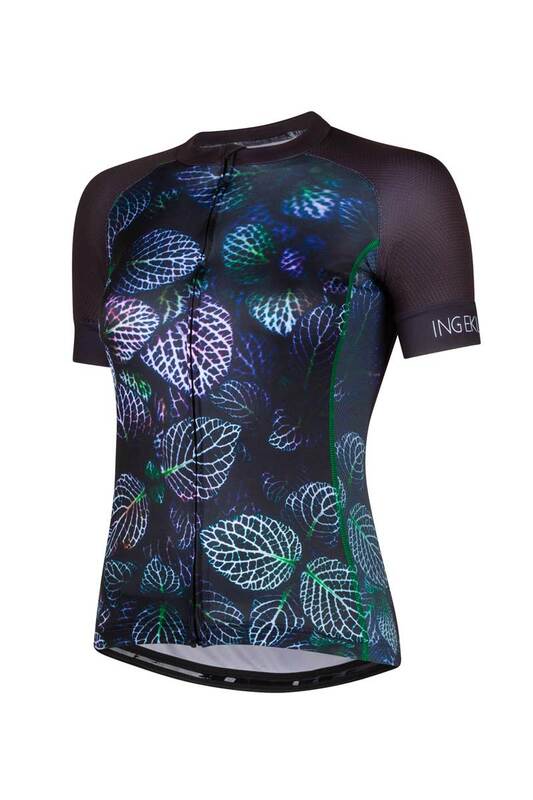 The painted print of these night lilies make your rides in this cycling jersey for women enchanting, mysterious and above al: super feminine. 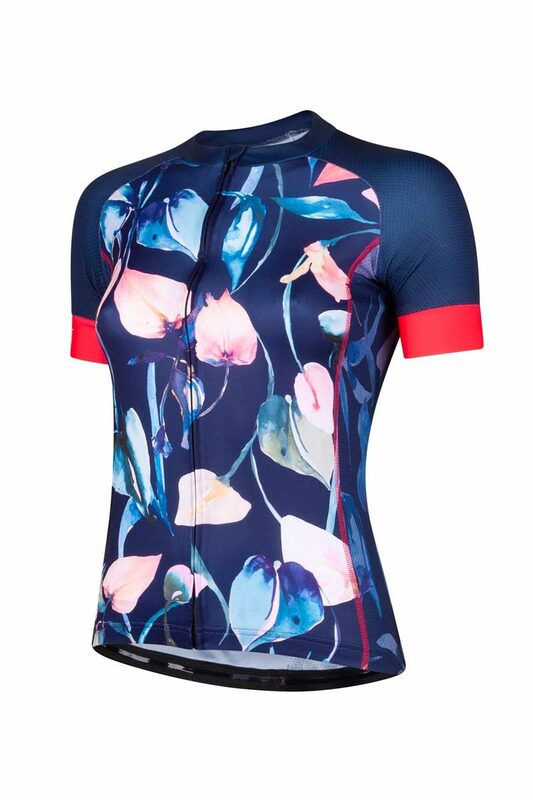 Painted flower prints like those of the Flower Bomb jersey and the Tulipa jersey make us women happy. So when we discovered the British designer Nikki Strange, we were sold immediately. And thankfully she wanted to work with us too! 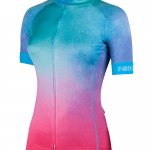 The Night Lilies cycling jersey for women is the enchanting result. 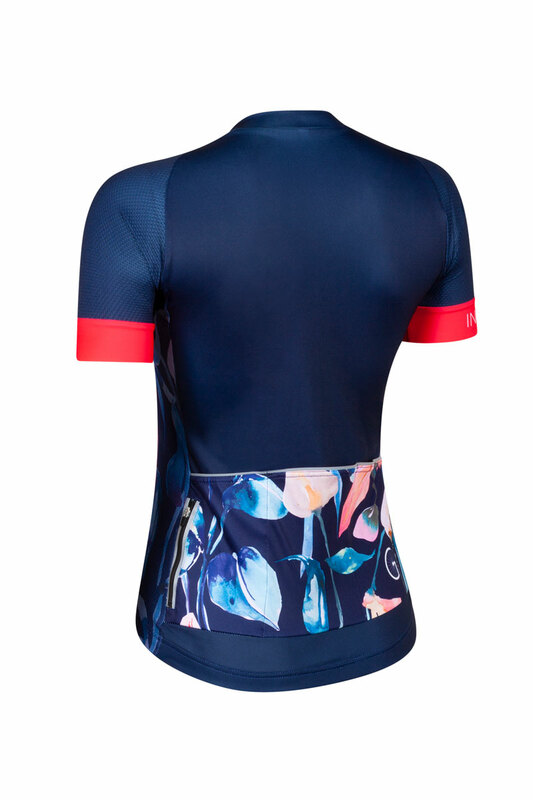 The fabrics of this jersey are almost as soft as the leave of a lilly, but then super strong. The feminine print combined with the dark blue base color make the pink hems and seams pop. Combine it with the matching cycling pants for a mysterious look. This women’s cycling jersey is standardly available in size S up to 3XL and on request in size XS and 4XL.